This is a free screening of “The Guardians,” a documentary film that poetically interweaves the lives of the threatened monarch butterfly with an indigenous community fighting to restore the forest they nearly destroyed. Migrating 3,000 miles to hibernate in towering Oyamels, the monarch population faces collapse. In the valley below, the people of Donaciano Ojeda struggle to support their families in their ancestral lands now part of the protected Monarch Butterfly Biosphere Reserve. 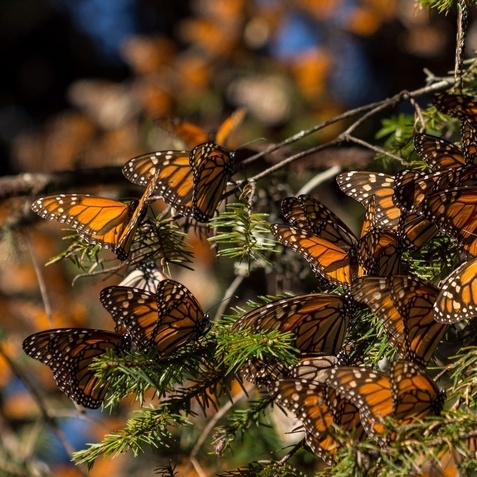 This cinematic journey through the butterfly dense mountaintops of Michoacan tells an intimate story of a unique community at the front lines of conservation. Part of "Bee At Home In Decatur," Beecatur's National Pollinator Week 2018 celebration!